Karnataka’s world famous temple town, ‘Hampi’, will be at the heart of the forthcoming Marathi film starring Sonali Kulkarni, Prajakta Mali, Priyadarshan Jadhav and Lalit Prabhakar. 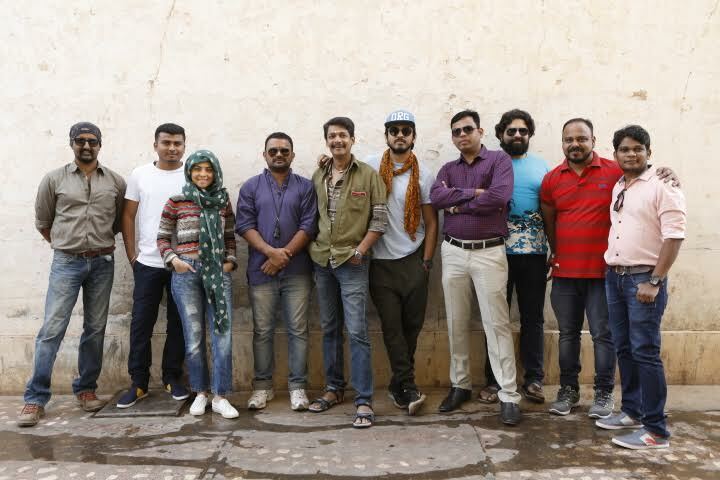 With most of the film to be shot in Hampi, the film directed by Prakash Kunte and produced by ‘Swaroop Samarth Entertainment’s Yogesh Nivrutti Bhalerao’, is all set to be a trailblazer so far as Marathi films being shot at picturesque locales like Hampi. Though the film is yet to be titled shooting has started at Hampi and could well turn out to be an interesting one given Kunte’s spectacular stints with Coffee Aani Barach Kahi and And Zara Hatke, both decent hits at the box office.Amlendu Chaudhary will helm the cinematography department for this untitled film for which Sonal Kulkarni, Prajakta Mali, Priyadarshan Jadhav and Lalit Prabhakar will lead the star cast. “I think new locales play an important role in adding value to the overall film-making and film-viewing experience. This film’s story is set up in Hampi so I had to go to Hampi for shooting the film. Hampi not only has a historic significance but it being the soul of the film I am sure the cinema goers will enjoy the movie,” director Kunte said.